After sitting down and sampling the slow, thoughtful strategy of Civ V, it was time to stand up and blow some crap up. Luckily, Borderlands 2 was our next stop. In their massive display, I was treated to a fifteen minute hands-on co-op demo. Both my partner and I selected the Gunzerker as our character, and we were unleashed onto an unsuspecting landscape in search of a lost safe. Fifteen minutes isn’t an awful lot of time to get a feel for a game with the depth and variety of Borderlands, but what I saw, I liked. The game’s makers are touting improved AI and enemy variety, and both became immediately apparent. Rather than simply running at me from afar, allowing me to pick them off at my leisure, sand-worm-like creatures swam below the surface and burst up behind me. Others launched themselves skyward. I was being flanked by skittering insect monsters while lashing plant-tentacle-creatures erupted from the earth and lashed at me. There was even some sort of three-legged behemoth stomping around, forcing me to peck away at crystalline shinguards to reveal its weak points. Handy, then, that good old Salvador the Gunzerker was able to dual-wield a chaingun and a heavy shotgun. I gots the skills to pay the bills. And kill things. 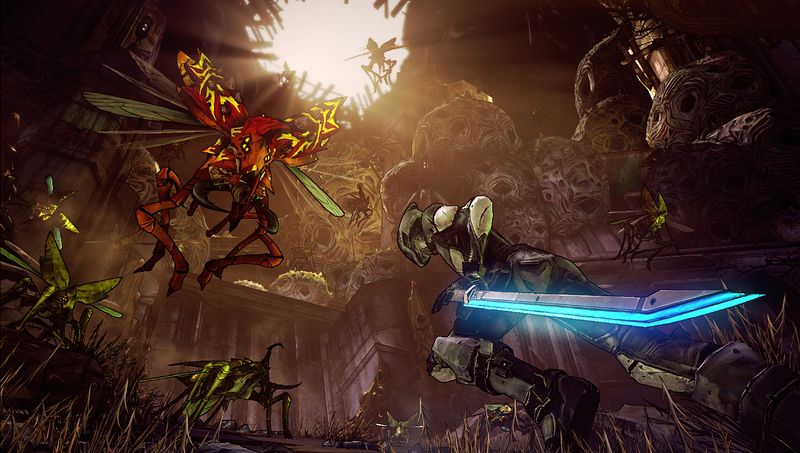 Aside from the improved enemies, the gameplay wasn’t glaringly different from the original Borderlands, which is good for fans of the original. The four classes/characters are new, but you’ll barely need to glance at the new cast in to know which one fills the niche you favored in the game’s previous incarnation. That said, they aren’t carbon copies. Each set of skills is similar enough to give you the play-style you are after – turrets, sniping, etc – but some abilities have been reassigned to where they make more sense. 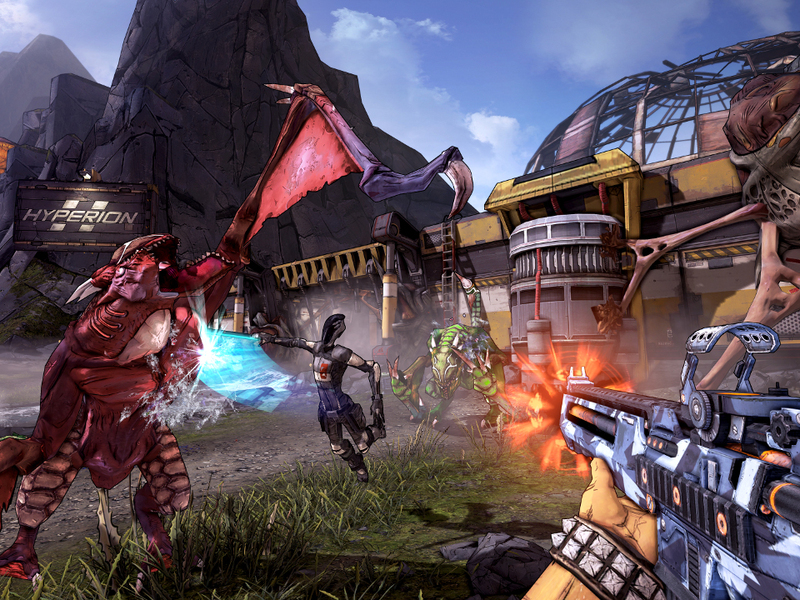 The main reason that many of the changes weren’t apparent in the demo, though, is that the changes in Borderlands 2 are far more fundamental than in many games. The developer we spoke with said that they compiled all of the feedback of the previous game and targeted their improvements to address as many of the complaints as possible. The story (which was downright vestigial last time) has been beefed up, with a stronger narrative and better characterization. This means that not only will the new characters actually be characters, but the old favorites from Borderlands 1 will each make an appearance so that the details of their own tales can be explored. Missions, which along with enemies and environments have been given a dose of additional variety, will now be delivered as dialog, saving you the arduous task of reading a wall of text to get your flavor. +10 Points for the sword. +50 points for making it GLOW. Another change that they’d prided themselves on was increased weapon variety, which confused me, because I certainly wouldn’t have listed “not enough guns” as a weakness of the first game. 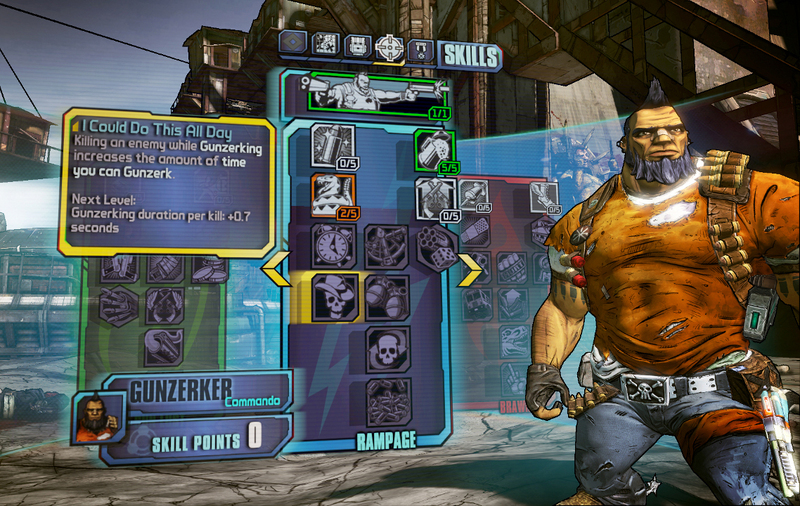 The dev explained that work had been put into giving each weapon a more distinctive look and feel. Rather than comparing numbers to know which gun hits harder, weapons were designed to be representative of their traits. I can attest that a heavy machine gun does indeed have a ponderous, hefty sense to it, and don’t get me started on the shotgun. Though DLC is obviously a foregone conclusion, I was pleased to know that currently the main focus is on completing the game rather than splitting the dev-team to work on large-scale addons. You can get your hands on the game on Sept. 18th in the US and Sept. 21st in the UK.